We want to make an semi-automated brewery using an Arduino Due and Raspberry PI. The source code for software is available in the Brewtroller project. To make it more open, we want to use I2C relay boards for the motorized ball velves and heating. For temperature, the One Wire is awesome. 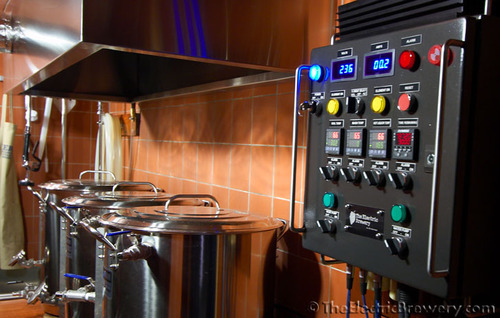 For inspiration we have Black Heart Brewery for the automated brewtroller system, and The Electric Brewery for the hardware.